nights in the coming week. But, let's face it: this is when my best work happens. 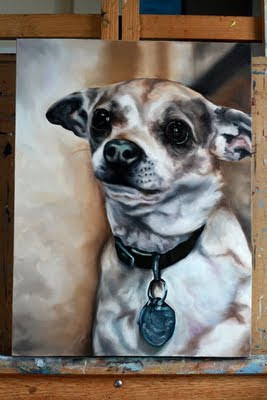 A little bit about the painting: This is "Peanut," a sweet little Chihuahua who's walked a rough road, but once she was adopted, found love of the best kind. Dogs are such complex and beautiful beings. We all are, really. 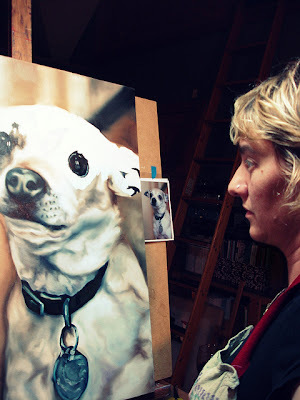 Painting just gives me the deep spaces of observation to notice.